Beginning of a little remodeling project, as the walls start tumbling down! Special Offers – now through August 3! Buy 5 Chopped Cherry Jams, Get 1 FREE! Cherry Season has arrived in Door County! 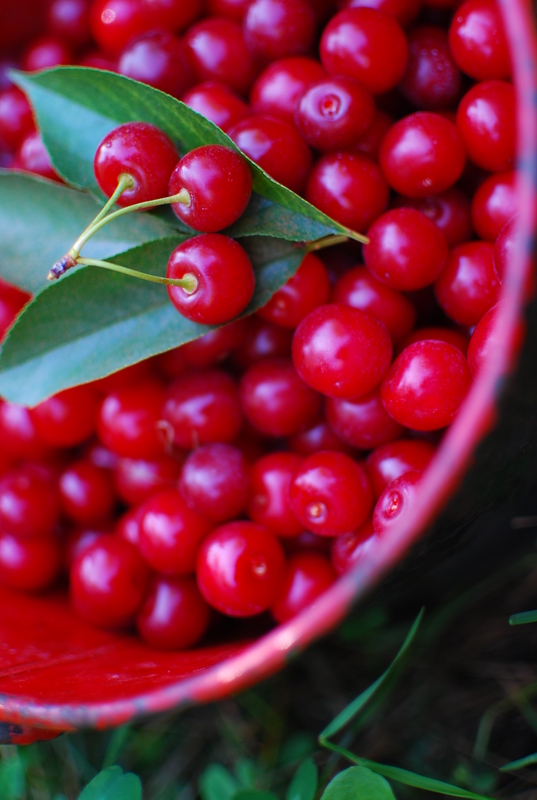 Here at Seaquist Orchards Farm Market we are loving this cherry season! We want to share the love! If you order 5 jars of our 12 oz. Chopped Cherry Jam, we will send you the 6th jar free! Our products are locally grown, locally processed (right next door at our Seaquist Production Facility), and loved worldwide! Order quickly, because this offer ends August 3. No promo code needed – we’ll take care of the details for you! Picking cherries couldn’t be easier! We have selected some of our best loved products (mostly cherry), and put them together in our lovely Pick of the Best Gift Box! Dried cherries, Cherry Salsa, Chopped Cherry Jam, Cherry Nut Bread Mix, and our Summer Tomato Salad Dressing, make a wonderful gift for a friend, or yourself! We will give you $10 off the cost of the shipping if you order this week. Instead of $22, you’ll only pay $12, – so order quickly, because this offer ends August 3. Specials may not be combined. Only one special available per order. Thank you! Special Offers – now through July 27! Free Dried Cherries with $20 Order! Free dried cherries? Are you serious? Yes we are! If you order $20 or more from Seaquist Orchards Farm Market, we will send you a free 2 oz. bag of dried cherries! Place multiple orders, get multiple bags! This terrific offer ends July 27. We here at Seaquist Orchards Farm Market are “Jammin”! Order our “Jammin” gift box, filled with 4 12 oz. jars of a variety of cherry jams, and our Cherry Nut Bread Mix and we will send it to you for only $9 shipping (regularly $16.50). Where are the jams made? Right here, at our Seaquist Production Facility! From our orchards, to your table, our products are locally grown, locally processed, and loved worldwide! This fantastic offer ends July 27. Special Offers – now through July 20! Here’s a fun deal! If you purchase a quart jar of Seaquist Orchards Farm Market “better than anything” Cherry Salsa, we will take 10% off your entire order! That’s easy! Order soon however, because this sale ends July 20. Sampling Door County………hmmm………how do you do that? Well, here at Seaquist Orchards Farm Market, we will put together 12 delicious Door County products: coffees, jams, applesauce, sausage, mustard, pancake mix, chocolate covered dried cherries, maple syrup, – all from some of Door County’s finest businesses, and send it to you! Regularly, the shipping cost is $22.00, but for this week, it’s only $15! We know you know someone who is longing for Door County, and this may help relieve their distress! Send them a gift of Door County – today! This offer expires July 20.